HALBAN The 7th Graduation Ceremony was held at the German University of Technology in Oman (GUtech) on Sunday evening, 9th of Dcember. 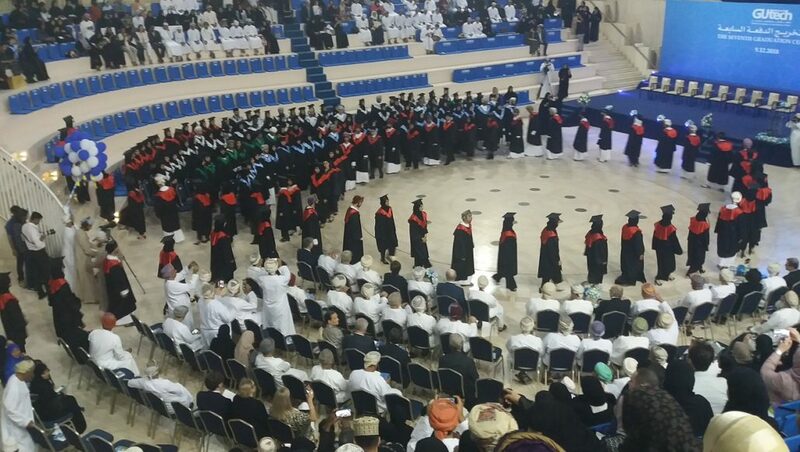 A total of 192 Omani and expatriate graduates were celebrated during an official ceremony held in the large amphitheatre of the GUtech campus. The ceremony was held in the presence of GUtech academics, members of the Majlis Al Dowla and Majlis Al Shura as well as members of the Board of Governors of GUtech including Dr. Dorothea Rühland, Secretary-General of the German Academic Exchange Service (DAAD) and other dignitaries and families of the graduates.